As an upcoming power nation, India is doing whatever it takes to become the next global face of international relations and is already being termed as the ‘Next Super Power’ by many. With the global media’s ‘fixation’ on India, its nuclear policy is being argued by many media houses, the growing nuclear arsenal concerning many diplomats and foreign policy experts. Although India maintains a high degree of transparency in its nuclear polices (rather we could say India’s inability to keep secrets), nuclear policy as such remains an exception for this state. The global world knew little about India’s nuclear policy before it conducted its first test in May 1974, finally attracting the global media’s attention to its self declaration of a nuclear state in 1998. With the policies being discussed heavily in the media, the question that everyone worries about is whether India’s stance on the doctrines remains or will it take use as a defence to retaliate against the ‘emotional’ rival Pakistan. However, there is evidence to show that India is moving away from one of these policies, especially when applied to its ‘emotional’ rival. With a massive victory in the War of Indo–Pakistan in 1971, India conducted its first successful nuclear test in May 1974. However, the roots of nuclear development go as far as its independence. Nehru developed a very close relationship with Homi J. Bhabha, who later became ‘father of the Indian nuclear bomb’. The whole idea of the Nuclear Weapons program is attributed to Nehru’s strong administration as he was quite enthusiastic in seeing India, a young sovereign nation, in the nuclear weapons global race. Some experts say Nehru was more than just anxious and ambitious. Although India attained nuclear capability in the early 1960s, inner political struggles delayed the tests. On May 18, 1974, India tested its first nuclear technology, a fission device which India later declared a ‘peaceful nuclear explosion’. Although cooperation from all the political leaderships was necessary, many contemplated theories of inner distrust. Research suggested that the nuclear test was carried out to garner political support and a nationalistic display of Indian scientists. The international response towards this test was highly critical. Global nations cited ‘violations of peaceful-use agreements’ that governed American and Canadian nuclear technology and materials. Enraged by India’s nuclear power display, many nations called for the formation of a regulatory board for civil nuclear technology. India’s nuclear test of 1974 is often regarded as one of the triggers for the formation of the Nuclear Suppliers Group (NSG). The NSG was formed in 1975. Since its formation, it established two sets of guidelines for nuclear materials, one for ‘the export of items that are especially designed or prepared for civilian nuclear use’ and the second most dangerous ‘export of nuclear related dual-use items and technologies’. Contrary to the global world’s conceptions, India did not proceed with any further nuclear tests and did not initially use the nuclear technology for weapons development. Many foreign policy experts refused to call India a ‘nuclear weapons-capable state’ until 1986, when Pakistan’s pursuit of nuclear weapons led to the ‘weaponisation’ of India’s nuclear capability. As India began to use nuclear technology for weapons development, the then Prime Minister Rajiv Gandhi submitted an ‘Action Plan for a Nuclear-Weapons-Free and Non-Violent World Order’ in the General Assembly. The Indian programs of nuclear tests were reviewed by Prime Minister Narasimha Rao in 1974, but diplomatic pressure from the United States kept this program at bay. The Bharatiya Janata Party came to power (for a short period of time) in 1996 followed by another win in 1998. During their time in power they authorised two nuclear tests and declared India a nuclear weapons state. These tests were quite unexpected and Pakistan responded with similiar nuclear tests nearly a month later. The months following the 1998 test and Pakistan’s eagerness to achieve the same nuclear state as India became a significant development in India’s nuclear policy. Shortly after the test, India established the National Security Advisory Board. In 1999, India issued a ‘Draft Report on Indian Nuclear Doctrine’ that formally established no first-use policy (a promise not to use the weapons first and only respond if there is another nuclear threat to the nation in play) and a ‘credible minimum nuclear deterrence’ defensive stand (in which a nation only possess weapons sufficient to counter an incoming attack or threat, with nuclear capability). India and Pakistan signed the ‘India–Pakistan Non Attack Agreement’, which was one of the major steps in cooperation between the two ‘rival’ nations. In January 1999, the agreement came into force, based on Articles 56 and 15 of the Geneva Convention prohibiting attacks on ‘works or installations containing dangerous forces’ such as nuclear energy facilities and dams due to the immense civilian deaths that could result from carelessly unleashing these resources. The India-Pakistan Non-Attack agreement prohibits each signatory from ‘undertaking, encouraging, or participating in, directly or indirectly, any action aimed at causing destruction or damage to any nuclear installation or facility’ provided each party informs the other of the precise locations of these installations and facilities. Since January 1992, India and Pakistan have exchanged information regarding the location of their respective civilian nuclear-related facilities, but the completeness of these lists is questionable and nuclear facilities involved in weapons production are often excluded. India declined to sign the Non Proliferation Treaty (NPT) in July 1968 and in 1997 voted against a UN General Assembly Resolution that requested non signatories sign on an urgent basis. India has not recognised the NPT despite being a designated nuclear weapons state alongside the United States, United Kingdom, France, China, and Russia. In addition to the NPT, India is not a signatory member of the Comprehensive Test Ban Treaty and has raised numerous questions over its policing, claiming it to be a ‘time-bound framework’ followed by a lack of laboratory simulations. India however did accede to the Partial Test Ban Treaty in October 1963, which mandates that all test detonations be conducted underground. India is currently a member of the International Atomic Energy Agency (IAEA), its nuclear plants having been designated under IAEA regulations. 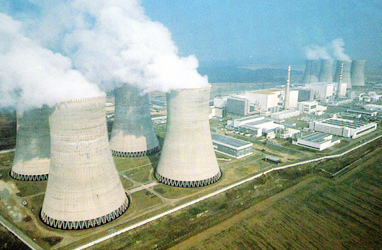 In the summer of 2014, India began ratifying IAEA safeguarding protocols allowing IAEA inspectors greater access in the civilian nuclear plants. This agreement was designed to boost international confidence in India’s civil nuclear program, which boosted commerce accordingly. However, India has been a model of civil nuclear disarmament, although the safety of its nuclear capability is debatable. India should identify safety concerns within its nuclear facilities, develop a plan of action to resolve these security breaches and define enforceable regulatory safeguards to replace the current guidelines that are far lagging in implementation. Since India was granted a waiver from the Nuclear Suppliers Group (NSG) in 2008 that permits it to engage in international civilian nuclear technology commerce, there have been no issues with Indian compliance in regards to nuclear development for civilian pursoses. India is one of the only world nuclear powers that is allowed to engage in civilian nuclear commerce despite its refusal to the sign the Nuclear Non-Proliferation Treaty. This unique allowance may be due to India’s self-imposed ban on nuclear testing and a record of decades of restraint in regards to nuclear proliferation. During the national elections of 2014, the Bharatiya Janata Party (BJP) included several nuclear strategy plans in their election manifesto which included the ‘study in detail of India’s nuclear doctrine, revising and updating it, to make it relevant to challenges of current times’, changing India’s nuclear policies; a promise that initially left issues unexplained. The desire to ‘no first-use’ instigated the expansion of Pakistan’s nuclear weapons technology. Some party members felt however that the doctrine could have been reformed in a more suitable and unchallenged manner, considering the recent ‘war like’ situations on the border. India is committed to ‘no first-use policy’, but such a posture will lead to nuclear stockpiles. Moreover, with cross border terrorism and frequent clashes on the border with neighbouring Pakistan, India’s deterrence to no first-use is being questioned by many. China and its ‘submission’ tactics may create a situation of war from both sides of the border. This is a situation nobody wants to see. No, the most important question with respect to India’s nuclear policy and possible revision is, what defines a ‘credible minimum deterrence’ posture when distinct adversaries are involved? This is a question where Modi has to look ahead before responding. Completing one year of governance after a heavy victory, Modi has to revamp India’s nuclear policy.